Attracting visitors to your national park and having them fully experience what you have to offer is a key component to ensuring that all national parks stay vibrant. Creative marketing can be a big driver of traffic and here is a list of 5 creative ideas for marketing to your next season’s visitors. We have also curated 6 amazing articles that are also great resources for promoting and marketing your National Park. 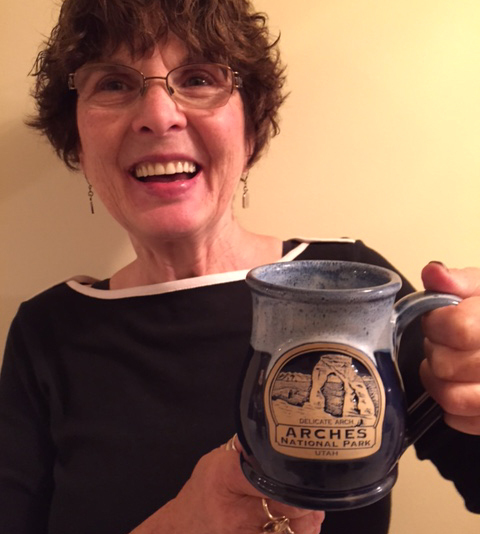 Our handmade pottery mugs are a great souvenir for visitors and are all made in the United States. These incredible mugs are touched by 24 pairs of hands throughout the creation process and we work with National Parks to come up with a collectible, unique and incredible looking mug design that encompasses the beauty of the park, and is a great addition to any gift shop! Enjoy the ideas about marketing your National Park below, and cheers to your epic success! In order to capture the attention of new visitors, a media push may be necessary. If something exciting happens at your national park, whether you’re offering a new access point on a hiking trail, you’ve added a new building or want to highlight particular flora or fauna, reach out to local and national news syndications to get press. Even one publication in a newspaper can increase your park’s exposure and visitors. But, traditional media aren’t the only publications you should pursue. Try to find bloggers and online influencers who support the parks. In today’s world, some of the most far-reaching community influencers are online. Start by researching national park blogs and reach out to the editors of the site to see if they would be interested in a guest post, interview or showcase of your park. Host events, treks, nature classes, class field trips, bird-watching sessions — anything to get people involved. Hand out flyers around your community that detail the schedule of events. Head to the local community centers, schools, universities, small businesses and anywhere else that you think it’s appropriate. While baby boomers continue to visit national parks regularly, recent research has shown that the millennial generation isn’t as open to the idea of being “unconnected”. It’s well known that millennials are very open to new experiences, which includes a fondness for extensive travel to all sorts of places. Unfortunately, due to their connectedness, many are hesitant to take a trip into a potentially service-less zone. The graph below represents that statement. 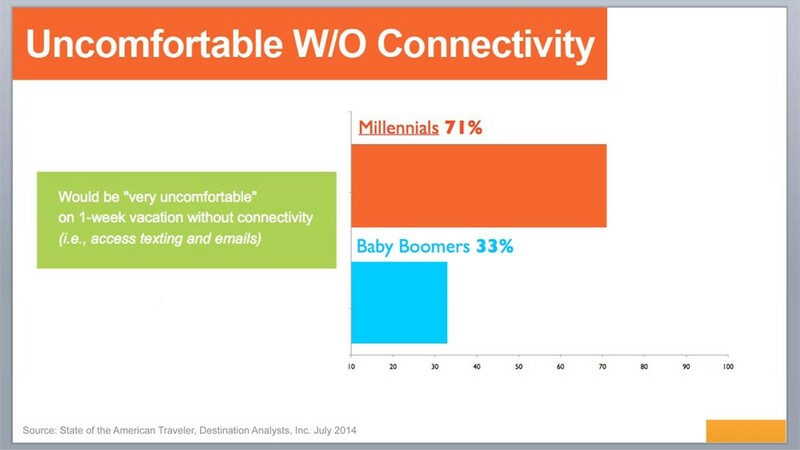 *Source: State of the American Traveler, Destination Analysis, Inc. So, what are you to do? Thankfully, there are plenty of ways you can reach young adventurers. a. Understand their spending power. The millennial generation is still young, with the majority still quite a ways away from the full buying power that comes in later stages of life. That gives national parks a unique opportunity in the form of affordability. Push the fact that national parks are an affordable way to take a vacation, often entry and camping fees costing a fraction of what a vacation to a city would cost. c.Don’t fight their desire to be connected. Millennials as a generation have been defined by their keen ability and strong desire to stay connected. if you’re trying to attract this type of visitor, this should be at the forefront of your mind. Take the time to develop experiences that are exciting to millennials, such as gorgeous hikes, biking trails, dog areas and, yes, even WiFi zones so they can stay in touch with friends and families. They may even post on their social media accounts and tag your park, increasing your reach into their network. For those that are marketing national parks, don’t fight their desire to stay connected, embrace it. Unique Memorabilia is perhaps the biggest seller in a national park gift shop. Visitors love to bring a little piece of your park home with them to commemorate their trip. Give them the opportunity to do just that by selling customized merchandise that they can’t get anywhere else. Not only will you have more money to put towards conservation efforts, you’ll enjoy a boost of impressions every time your merchandise is used outside of your park. As a national park, there are a ton of merchandise opportunities — from branded clothing to posters and prints to ornaments and much, much more. 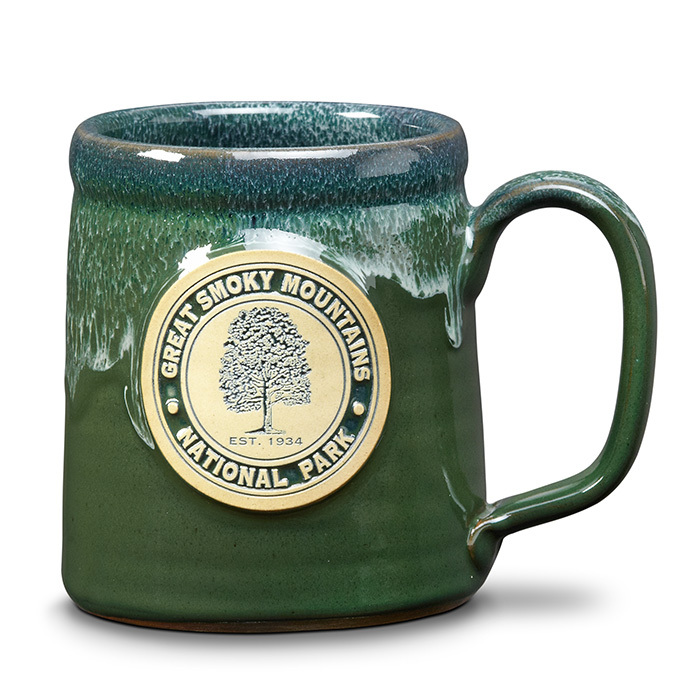 Perhaps the most popular national park memorabilia is a custom-branded ceramic mug. A handcrafted mug with your logo prominently integrated on the front is an attractive addition to any tourist shop. 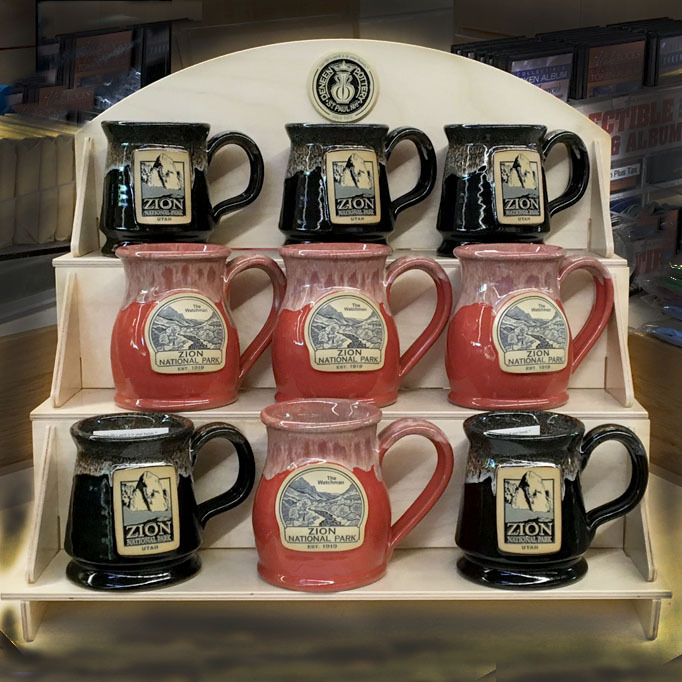 If you’re looking for high-quality national park mugs, Deneen Pottery hand-crafts mugs that are personalized to your design, choice shape and glaze color. Not only will you create a new line of revenue, you’ll also enjoy working with this second generation family business is dedicated to craftsmanship, quality and integrity. Not to mention the many marketing benefits that come from your visitors using a mug at home or in the office for years to come. Now that you know these unique methods to get more people to engage with you national park, you can start attracting more visitors. If you’re looking for more ideas and resources to market your organization, get in touch with Deneen Pottery via their contact page, or call them today at 888-646-0238. Deneen’s National Park Partnerships extend from coast to coast and beyond and they are always eager to share their insights and experience. Five Reasons the National Park Service is Dominating Social Media: An article outlining how the National Park Service is using Social Media to their advantage by providing value, and creating a genuine experience for users. 11 Creative Ideas to Market your Destination: Innovative ideas about how to put your tourism destination on the map. The Ultimate Guide to Millennial Marketing: With Millennials making up 25% of the population, this generation has surpassed the Baby Boomer generation in size. Marketing to Millennials can require a different approach, and marketing guru, Neil Patel is here to help. How to Engage Millennials on Facebook and Instagram: Tools to reaching and connecting with Millennials on Facebook and Instagram. Millennials spend an average of 24% of their time on social media, so reaching them via these channels is highly effective. Eight Marketing Strategies to Attract Millennials: Advice and ideas from fifteen members of Forbes Coaches Council on ways companies can capture the millennial audience through marketing.